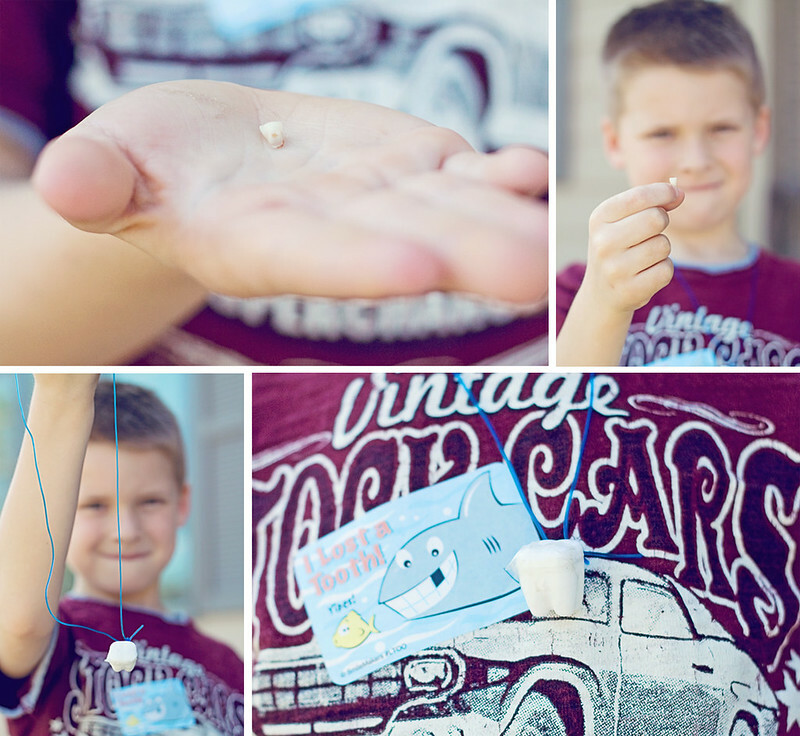 Early last week Will came home with his first lost tooth, and my year long question of why kids in his class were always having their tooth pulled at school was answered. 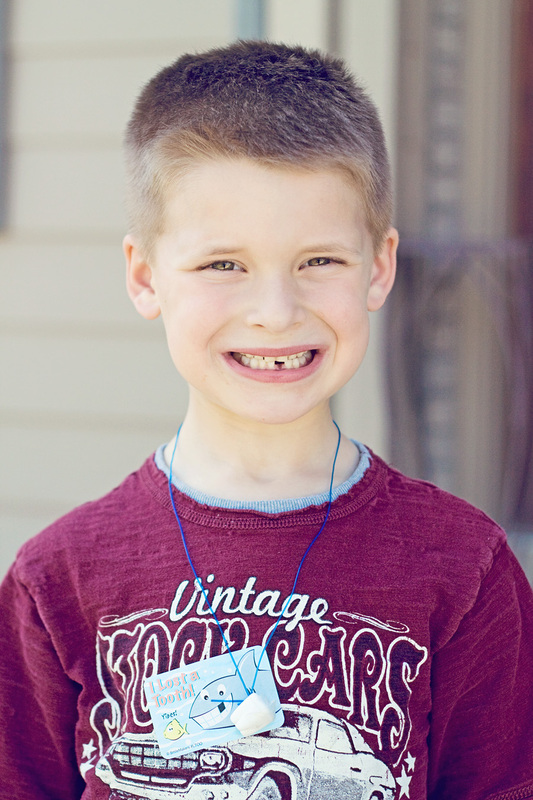 I mean, why would you want your mom or dad to pull it at home when you can have an awesome tooth necklace (it kept the lost tooth safe) and sticker when you loose it at school. Totally cute!! !